Tea cup gardens are a great activity many people of all ages and abilities can participate in and potentially enjoy. 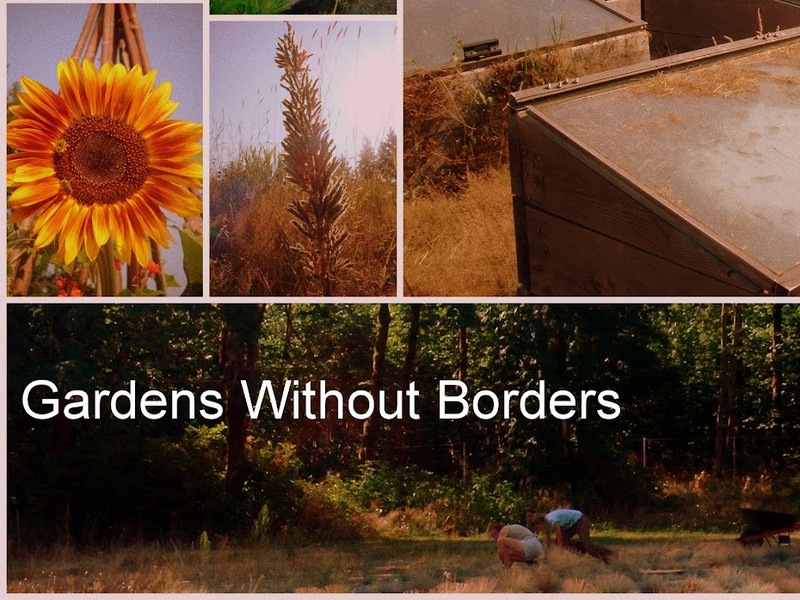 What is more, depending on what plants you use, it is something that can be done year round. It is important to choose small plants with shallow root systems that won't soon outgrow the cup. However, if timed right, you can turn a window sill herb garden with lavender, rosemary, basil and chives in to an outdoor herb garden when the plants become to large for the cup. You could also use a variety of succulents, like the adorable "hens and chicks" plant, and these can be used year round and kept indoors in the cooler seasons. Or, you can use smaller spring and summer bedding plants, such as violas, pansies, and lobelia. Fragrant plants in tea cups on a windowsill may lend a cheery disposition to room where people spend a lot of time, such as in a care home facility. 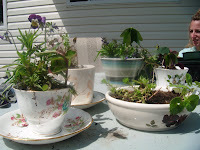 You can also use the tea cups to start the seeds for your garden. You can source cups from your own cupboard--often pretty yet delicate china gets chipped or handles get broken over the years and yet we find ourselves unwilling to throw them out for sentimental reasons. A tea cup garden provides new life for the handleless pieces of your grandmother's Royal Dalton collection. Or, you can use mugs, teapots, or even bowls. Second hand stores and garage sales, of course, usually have an excellent selection of potential small garden vessels. Saucers can be matching or not, but they are important as a water reservoir when using such a shallow container. When choosing cups and mugs for a Horticulture Therapy activity, consider your participant group. A young man may not appreciate rosy-patterned fine china, or a tea cup might be too fine for some one with limited hand motor skills to manage. Also, try to drill a hole in the bottom of the cup for water drainage. If you don't have a ceramic drill bit, this may be difficult. My husband and myself used a punch and a hammer, only to sacrifice a cup in our learning process, but we managed to get a decent hole in the bottom of most of them. If you cannot make a hole, place small rocks in the bottom to provide some drainage so the roots don't rot. Tea spoons make the perfect tea cup sized garden trowels. 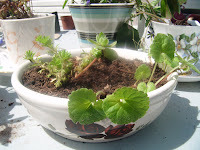 Starter mix or container potting soil also works well for this type of activity. 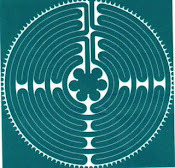 The benefit of this particular activity is that is a fun, whimsical, social experience. Also, the maintenance required to take care of your tea cup garden is minimal, but enough to encourage nurturing of another life form without it being too difficult or overwhelming. The person with their tea cup garden may experience joy and wonder at the successful thriving of their little plant. 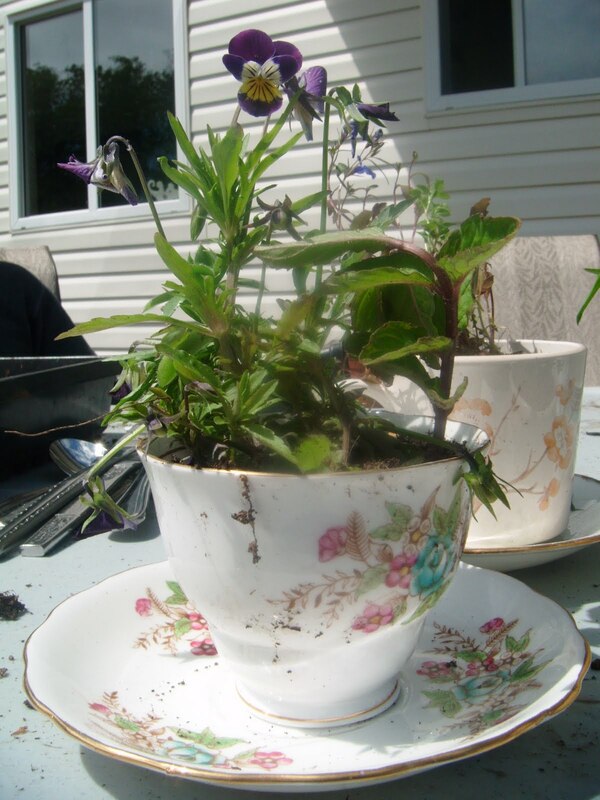 Also, planting in a tea cup can provide the opportunity for abstract thinking and imagination; for example,what else can we do with unconventional things intended for one particular use but used for another? And a plant in a cup also makes a great gift, encouraging friendships, honouring relationships, and creating that "feel good feeling" of making something to selflessly give away in the end. 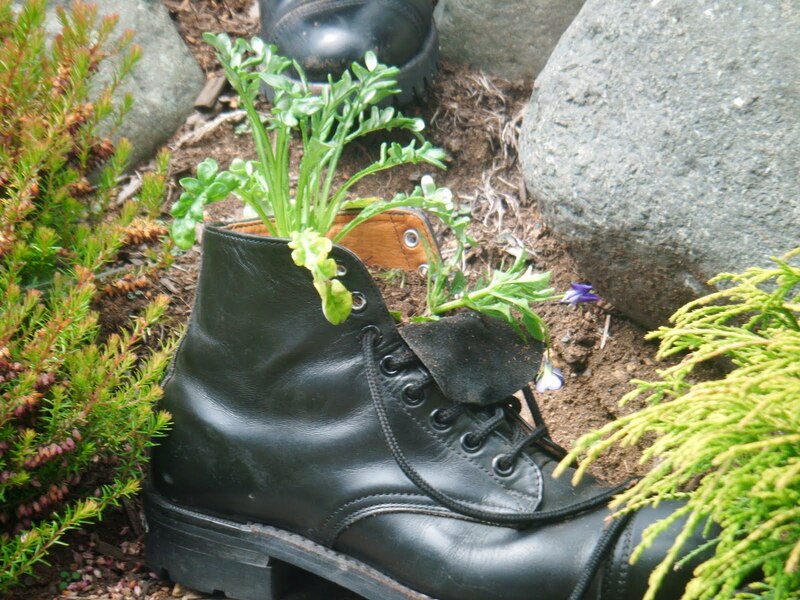 A Gardens Without Borders HT participant made this boot planter for a Father's Day gift-- a sort of variation of the tea pot garden. What else can you plant in? Old toilet bowls, children's shoes, are just a couple of the unconventional containers I have seen.